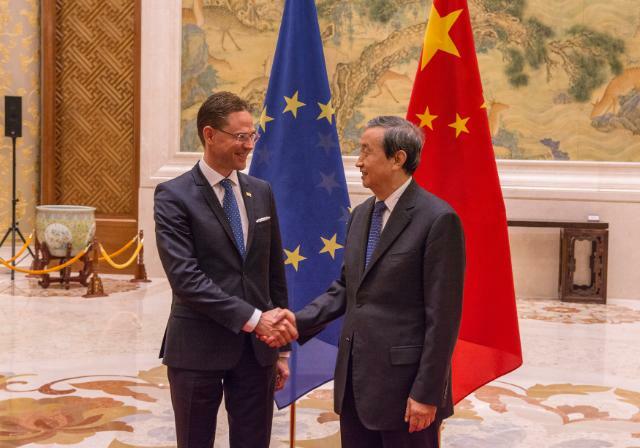 This article is part of our special report EU-China: Mending differences. Member states disagree on whether it is appropriate to create an EU mechanism to protect strategic sectors despite pressure exerted by the EU’s largest countries. Hostile takeovers, the acquisition of cutting-edge technologies and restricted access to foreign markets led to unbalanced trade relations between Europe and its biggest partners, in particular China. Amid the social unrest caused by globalisation and growing inequalities, the European Commission is considering levelling the playing field by bolstering its trade instruments. Among the ideas under discussion, the Commission is pondering whether to set up a European mechanism to veto foreign investment in strategic sectors. “Concerns have recently been voiced about foreign investors, notably state-owned enterprises, taking over European companies with key technologies for strategic reasons,” the Commission’s reflection paper on harnessing globalisation issued on 10 May said. The institution recalled that EU investors are not welcomed in the same way abroad. And it added that these “concerns” required “careful analysis and appropriate action”. The warning of new measures followed demands by the largest member states for a new instrument to block certain foreign buyouts. The European Commission welcomed Germany, France and Italy’s proposal to halt China’s buyouts in Europe in some cases given the “limited access” to the Chinese market. In a letter sent last February, Germany, France and Italy called for fresh action at EU level, as the bloc “should have more scope to investigate individual takeovers and, where applicable, block them”. The issue of reciprocity as regards to market access came top of the agenda again following Emmanuel Macron’s election as France’s new president and his push for the “Buy European Act”. 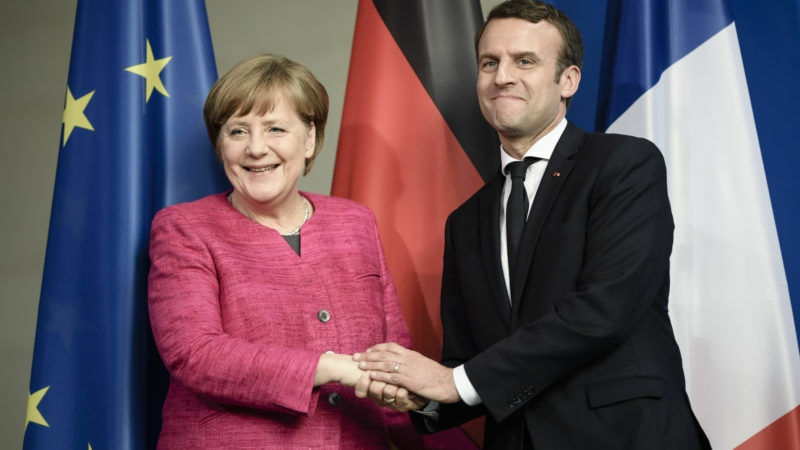 “In trade relations, for example, I see this element of reciprocity, this is something I can very well imagine,” said Chancellor Angela Merkel in her first joint press conference with Macron. Diplomats from half-a-dozen member states consulted by EURACTIV.com were waiting for further details before taking a public position. A Dutch diplomat welcomed the initiative taken by the three governments but added that The Hague is still forming an opinion on the merits of it. “It does however highlight the need for a debate in the Competitiveness Council,” he added. But EU officials expect opposition from countries eager to attract foreign investment and with better ties with Beijing, including Slovakia, Portugal and Greece. Representatives of these governments said that they did not have a position yet. A diplomat from another member state expected a divided Council, as was the case with the modernisation of the Trade Defence Instruments or the revised proposal for an international procurement instrument, still stuck at the Council’s table. 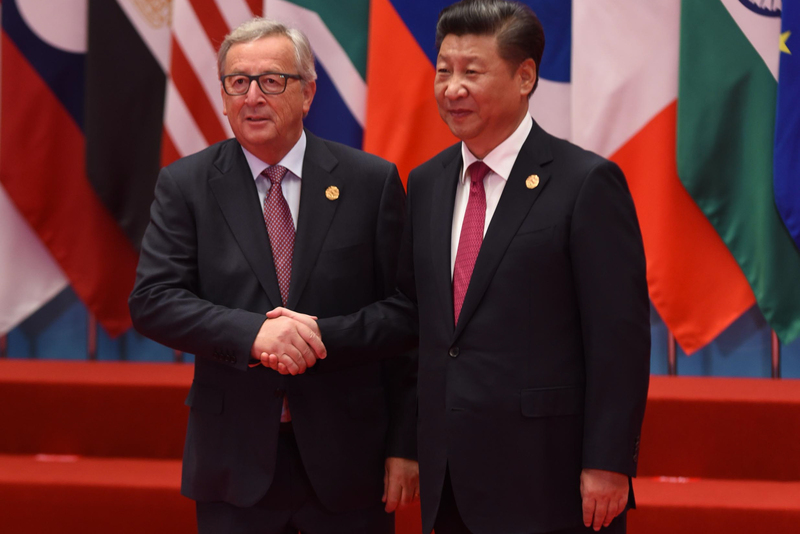 The European Commission and China have concluded technical work allowing Beijing to start pouring up to €10 billion under the so-called Juncker Plan, EURACTIV.com has learned. According to insiders, it will be more difficult this time to predict how member states will position themselves as in the debate for bolstering anti-dumping measures. Germany joined the protectionist camp led by Italy and France. This could represent a serious blow for the free-marketers, already weakened after the UK decided to leave the EU. The sources consulted explained that countries would act depending on their trade relations with China, or the protection already provided by the national legislation. In this regard, the national toolbox is very diverse. Countries like Spain have more room for manoeuvre to block undesired foreign investment, if public interest or national security is at stake. On the opposite side, the Netherlands did not have any power to block third country buyouts. Only company shareholders can take such a decision. Some EU member states’ attempts to push for EU legislation to protect “critical infrastructure” from unwanted third-country takeovers has raised concerns of growing protectionism and economic nationalism in the bloc. 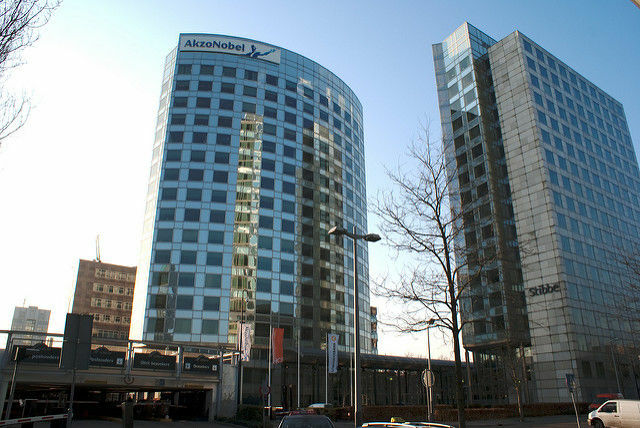 But the AkzoNobel case has prompted the Dutch government to consider amending national legislation to introduce additional protection mechanisms. Against this backdrop, an EU official said he did not expect a proposal in September during the State of the Union address. Instead, Commission President Jean-Claude Juncker would clarify what role Europe should play on this issue. “The question we need to answer is whether decisions on foreign investment should remain primarily in the member states’ hands or the EU institutions should play a role,” a diplomat explained. A senior EU official explained that member states are “trying to hide” behind the Commission, as they fear retaliation if they restrict access to their national markets, in particular from China. Diplomats from member states not aligned with the proposal from the largest states agree. The Commission will have to “think very well” what to do about it, one of them commented. 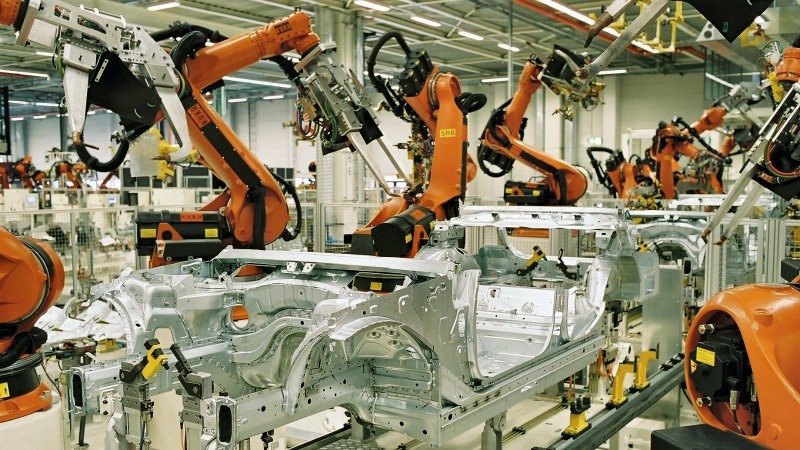 Top officials in Brussels and Berlin oppose a Chinese takeover bid of German industrial robotics supplier Kuka, a newspaper reported on Monday (30 May). Various officials pointed out Germany’s change of mind after the country “got scared” by the acquisition of leading robot-maker Kuka by Chinese Midea. Internal discussions held inside the executive have not translated into a draft proposal yet. The Commission is considering various options, according to the sources consulted. One alternative would be to offer non-binding guidelines to deal with foreign investment. Another possibility would be to progressively harmonise national legislation to reach a common European approach. A third option would be setting up an EU mechanism to block foreign investments, as Berlin, Paris and Rome proposed. This option would represent adopting retaliation measures to punish China for the lack of access to its market. Despite the World Trade Organisation allows for retaliation actions in some cases, for the free-marketers in the capitals all options should be exhausted before taking “one of the strongest measures” in the toolkit. 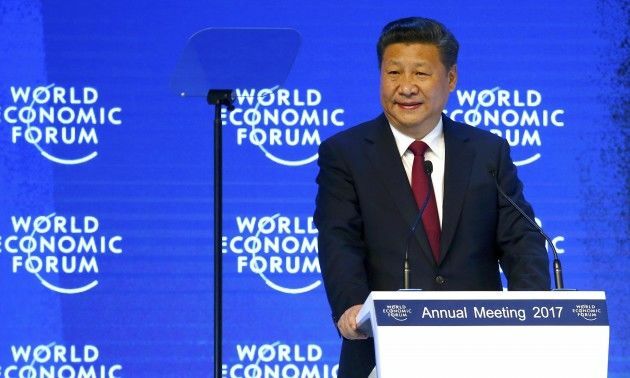 EU officials also hoped that Chinese President Xi Jinping’s speech in favour of globalisation and free trade would ultimately lead to progress on EU/China bilateral investment agreement. But pressure to take further action is growing. “Your reflection paper is good but it does not go far enough,” French MEP Françoise Grossetête told Commission Vice-President Jyrki Katainen. “I would like to see a concrete action plan on the issue of controlling foreign investment in strategic areas that are going to guarantee the employment because jobs are the only social response that we can give to our citizens,” she added during the European Parliament’s plenary debate in May. According to the European Commission, EU-China investment flows also show vast untapped potential, especially when taking into account the size of our respective economies. China accounts for just 2-3% of overall European investments abroad, whereas Chinese investments in Europe are rising, but from an even lower base. inadequate protection and enforcement of intellectual property rights in China. The bilateral investment agreement under negotiations aims to provide more transparency, legal certainty, and market access to investors from both sides.